Jeff Moslow, A85, A16P, A18P, interviews David Puth, A79, CEO of CLS International, at the 9th annual Finance Career Forum. 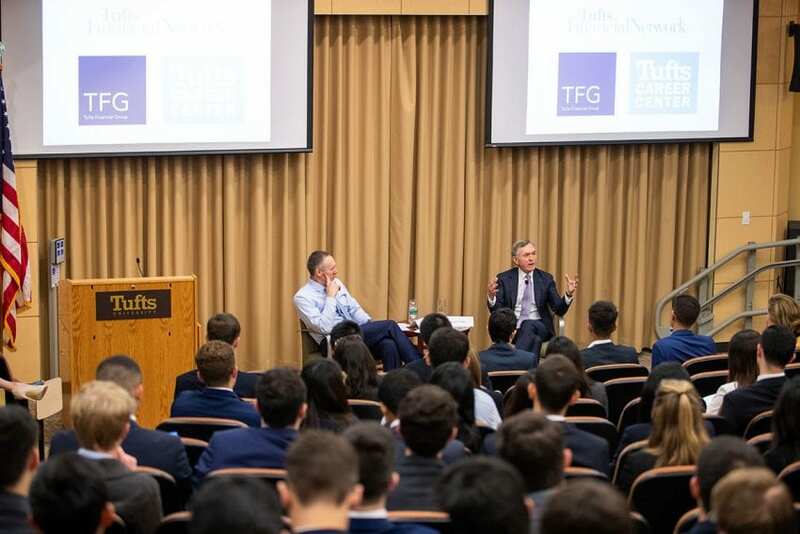 For the 9th year in a row, the Finance Career Forum continues to thrive as a signature academic and professional experience for Tufts undergraduate and graduate students interested in careers in finance. Held on Saturday, September 22 and hosted by the Tufts Financial Network and the Tufts Career Center, the 2018 program brought together a record number of students for a day of active engagement, learning, and networking with Tufts alumni. Jon Pruzan, A90, Chief Financial Officer at Morgan Stanley, offers remarks over lunch at the 9th annual Finance Career Forum. Saturday’s agenda included seven breakout sessions (from beginner material like Introduction to Finance Careers to more specialized content like Private Wealth Management), lunch and networking opportunities, and speed learning sessions. The day began with an interview of first-time participant David Puth, A79, CEO, CLS Bank International. Over lunch, students then networked with alumni and heard remarks from Chief Financial Officer of Morgan Stanley, Jonathan Pruzan, A90. 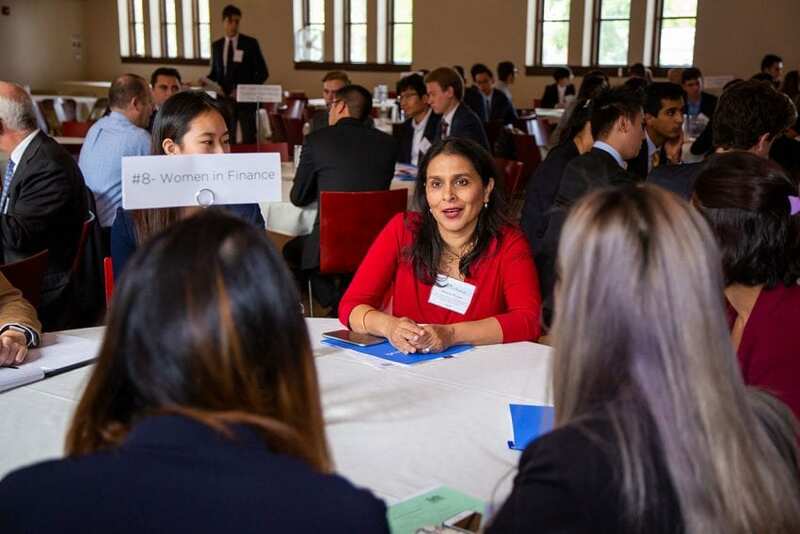 Meera Mayer, Executive Director, Portfolio Manager and Private Wealth Advisor, Morgan Stanley Private Wealth Management, leads a discussion over lunch at the 9th annual Finance Career Forum. 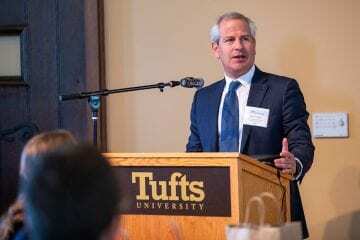 Alumni investments, whether of time or resources, have played a significant role in the evolution of finance education at Tufts over the last nine years. Because of programs like the Finance Career Forum and academic initiatives emerging from the Tufts Finance Initiative, career and learning opportunities today are stronger, and students are clearly reaping the benefits. To view additional pictures from the event, click here.